In the TV version of Pinulot Ka Lang Sa Lupa, LJ Reyes and Julie Anne San Jose gave their own take of Maricel Soriano and Lorna Tolentino's iconic pool scene. LJ Reyes and Julie Anne San Jose finally recreated the famous swimming pool confrontation scene in the TV version of Pinulot Ka Lang Sa Lupa. GMA-7 aired one of its most-awaited scenes yesterday, March 1. This scene prompted Julie Anne to blurt out the line, “pinulot sa lupa,” which was derived from the title. 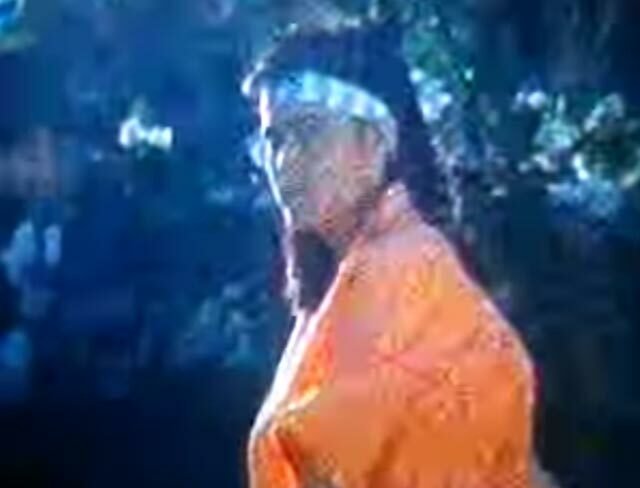 In the original movie shown in 1987, it was Maricel Soriano and Lorna Tolentino who engaged in this confrontation. Let us take a look at the 2017 version of this iconic pool scene. JULIE ANNE VS. LJ. In the TV adaptation of Pinulot Ka Lang Sa Lupa, Santina (Julie Anne) and Ephraim (Benjamin Alves) were enjoying their time in the swimming pool at the Esquivel house. Ephraim left Santina to answer a phone call. Angeli (LJ) then arrived at the pool area and saw Santina. Angeli took off her towel, revealing her backless bikini to match Santina’s one-piece striped bathing suit. She then told her nemesis, “Bilib din naman talaga ako. Saan ka ba kumuha ng Masters’ degree on social climbing? Kasi ang bilis ng promotion mo. Santina removed Angeli’s hand and warned her, “Umiiwas lang ako sa gulo, Angeli, at dahil may respeto ako sa mommy mo. 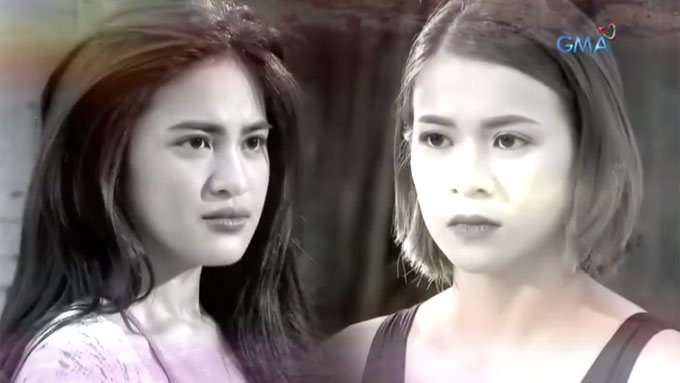 Angeli suddenly unleased her anger towards Santina. She said, “Bakit, nirespeto mo ba ako noong inahas mo si Ephraim, noong nagsipsip ka sa mommy ko? Santina wondered where Angeli’s hatred came from since she was raised well by her adoptive mother Diony (Jean Garcia). Angeli recalled how Santina acted inside their house. She told her, “Ayoko ng inaasta-asta mo sa bahay na tio. Tinanggap ka ni Mommy, oo. Angeli was about to slap Santina’s face but the latter stopped her arm. In response, Angeli used her other hand to pull Santina’s hair, leading them to have a catfight. 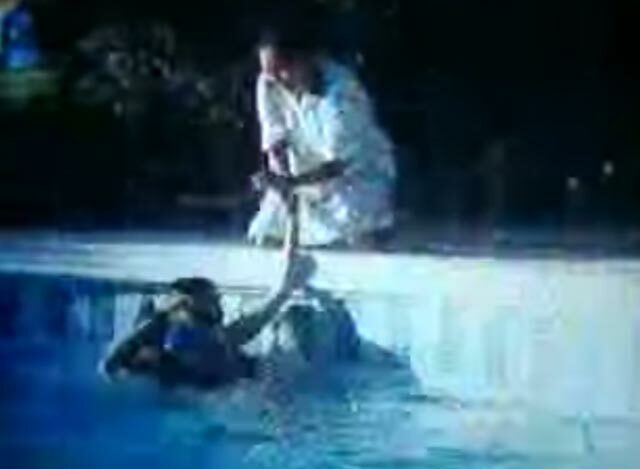 While trying to save herself, Santina accidentally pushed Angeli onto the swimming pool. 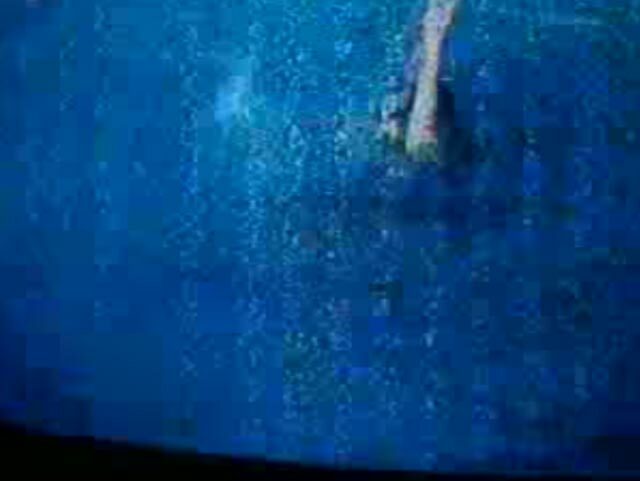 At that exact moment, Ephraim returned to the pool area and jumped to save the drowning Angeli while Santina looked on. When Ephraim asked what happened, Angeli said, “Wala” and returned inside their house. LORNA VS. MARICEL. In the original version, Angeli (Lorna) was about to leave their house when she saw Santina (Lorna) enjoying her alone time beside the pool. 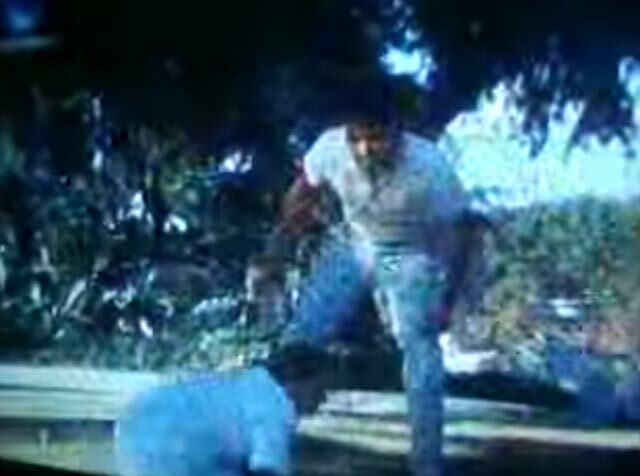 Angeli confronted Santina and told her that she doesn’t have the right to be comfortable in their house, even if the family patriarch Diony (Eddie Garcia) accepted her warmly. Angeli told Santina, “Magkaintindihan nga tayong dalawa. Ayoko ng mga ikinikilos mo sa bahay na ito. Santina then reminded Angeli that she was also just adopted by Diony. Angeli then gave Santina a huge slap on the face. Santina avenged herself by slapping Angeli back. This made Angeli more furious, which is why she pushed Santina onto the pool. She then left her to drown. When Angeli passed by one of their maids, the latter asked her, “Nag-away na naman kayo!” But Angeli gave no answer. 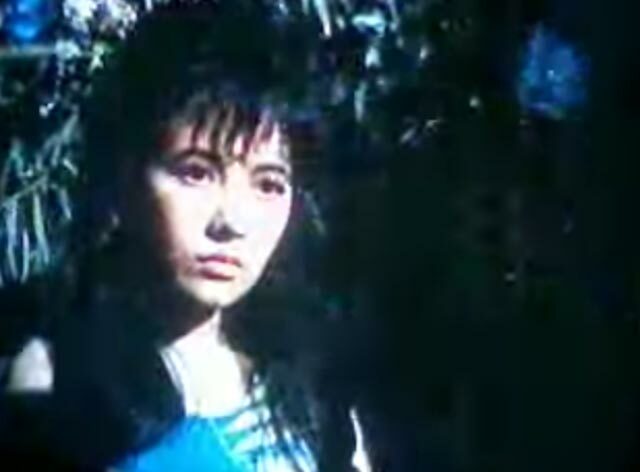 The maid was shocked to see Santina drowning and called Ephraim (Gabby Concepcion) for help. Ephraim then saved Santina, who was left unconscious while Angeli watched from afar. 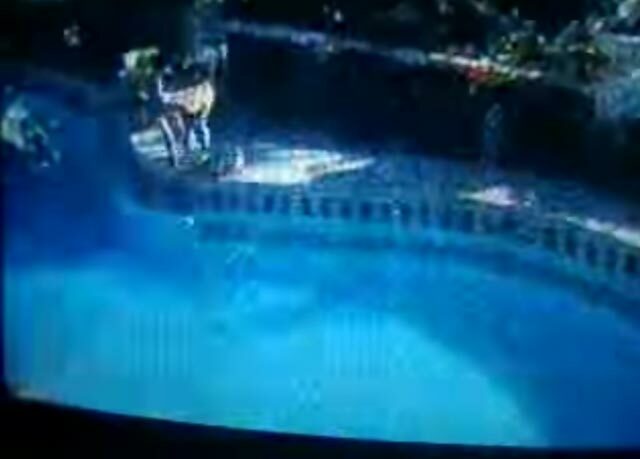 PEPsters, do you think Julie Anne San Jose and LJ Reyes gave justice to Lorna Tolentino and Maricel Soriano’s pool scene in Pinulot Ka Lang Sa Lupa?